ProSource unveiled that the ProSource Summit and Expo is scheduled to be held again at the Gaylord Opryland Resort and Convention Center in Nashville, TN, March 1-4, 2019. The ProSource Summit provides opportunities for group members to share ideas, learn from their peers, and spend time with suppliers away from the bustle of other industry trade shows. 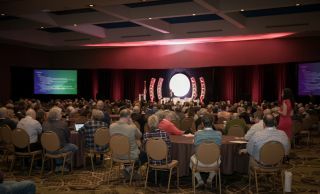 It is a four-day event attended by hundreds of custom integrators, specialty retailers, and suppliers, and features an outstanding agenda of guest speakers, educational workshops, round table discussions, networking, entertainment, and the opportunity for members to meet with vendor partners in one-on-one meetings. The ProSource Summit also includes two half days of vendor and partner exhibits with active demonstrations represented by executive management personnel. The summit is once again co-located with AVB partner group BrandSource, with the theme of "better together." "The ProSource Summit agenda delivers focused educational content, peer-to-peer engagement, and exceptional product experiences provided by our vendors throughout the event," said Dave Workman, CEO and president of ProSource. "Another great addition to the annual summit are the individual region meetings led by our district managers prior to the ProSource State of the Business and member awards." "The Summit was organized, professional, and well-run. It was really great for me to see, meet, and interact with the other dealers, integrators, and factory representatives," said John Broderick, purchasing and warehouse manager at Audio Interiors, Inc. "The Gaylord was the perfect resort setting for this event."